Has the first step in your journey ended with a consultant saying "first you need to lose weight"? Do you know why he said that and do you feel that is a pointless and impossible task? Do you feel like it's just another barrier in your way to Motherhood? The bad news is that if you have a BMI over 30 you are classed as obese. Obese women are significantly less likely to conceive naturally or with treatment. Chance of implantation is significantly lowered in obese women. Obese women are up to 15 times more likely to have complications during pregnancy. For every BMI unit over 29, your chance of achieving pregnancy falls by 4%. If you have a BMI of between 35 and 40 you are classed as severely obese. Women who are severely obese have a 23% to 43% less chance of achieving pregnancy compared to women with a BMI lower than 29. The good news is that we want to help you RIGHT NOW, the members of this forum ARE the best support network you're likely to find. Starting a diet and fitness diary can significantly increase your chances of conceiving. Well there are often health and lifestyle changes that I can and do recommend that might help in some way to improve their fertility. And sometimes these will work, sometimes not, but whatever I recommend is always worth trying. But the single most useful action that any overweight women can take, the only one which I would ever guarantee will enhance her fertility and her chances of conceiving, is for her to lose weight. For a woman with a BMI (Body Mass Index) greater than 30, losing weight can be guaranteed to improve her chances of conceiving, and of having a successful pregnancy, and a healthy baby. Conversely those women with BMI's greater than 30 will have more difficulty in conceiving; more likelyhood of pregnancy problems, including gestational diabetes; and a less healthy baby, who is more likely to grow into an overweight and unhealthy child, and adult. Fertility units, consultants and GP's are likely to be less sympathetic towards those women seeking help with their infertility, who are moderately or severely overweight. The obesity will often be seen as something that needs to be treated as a separate issue, before fertility investigations or treatments will even be considered. This may seem as unfair, as women who are overweight are just as needy and desperate to have children as those women who are slimmer; and the shops and restaurants seem to be full of obese mothers and overweight pregnant women. Nevertheless doctors are being encouraged to target overweight patients, and your need to have a baby will be seen as taking second place to their need to get you to lose weight. Especially as they will also be fully aware of the impact of obesity on maternal and child health. Losing weight is not easy however and being told that you have to lose weight can be seen as another hurdle that you are being asked to jump in order to have your much wanted baby. But rather than seeing weight reduction as another pressure and a chore, it makes better sense to see this as one, very potent way, in which you can take control of your fertility and improve it. And that goes for the men in your lives also. Being overweight is unhealthy for men, and testicular sperm production and development are both impaired in male obesity, and improve with weight loss. (And besides, who wants to risk having a family with a man who's health is at risk because of his weight?). Losing weight is something that is best done as part of a like-minded group. What more like-minded can you get than the FertilityZone Weight Loss Club? What are you all waiting for? Many women fail to get proper advice on weight management during and after pregnancy, a UK-wide survey suggests. Some 63% said their midwife had not explained obesity issues such as body mass index during their first antenatal appointment. The poll of 6,226 women also found that six out of 10 felt pressurised by celebrity culture to lose weight quickly after giving birth. They were surveyed by the Royal College of Midwives and website Netmums. Obese, pregnant women run a greater risk of developing conditions such as pre-eclampsia and gestational diabetes. They are also more likely to experience miscarriages, difficult deliveries, pre-term births and caesarean sections. The survey found almost half the women who responded were worried about their weight during pregnancy. But many appeared to be confused about what their correct weight should be, and significant numbers worried unnecessarily that their weight might cause problems giving birth. As well as missing out on obesity advice during pregnancy, nine out of 10 said that after giving birth they had had no opportunity to discuss their concerns with their midwife. Overall, 84% said the general advice they received from midwives on weight management was not good. Nearly three-quarters (73%) of those who responded said the NHS should provide midwife-led antenatal classes specifically to address healthy eating and weight management. The survey also suggested that lack of care had damaged many mothers' self-esteem. When asked how they felt about their body while pregnant, comments ranged from "disgusting" to "fat, ugly and big". Cathy Warwick, RCM general secretary, said good advice on weight management was vital, both to ensure that women kept as healthy as possible during pregnancy, and to avoid the risks being exaggerated. But she said midwives did not seem to have enough time to discuss concerns with mothers-to-be. She called on NHS Trusts to make sure resources were made available to ensure women got the advice and support they needed. About half of women of childbearing age are either overweight or obese, with levels rising. The health watchdog, the National Institute for Health and Clinical Excellence put out guidance in July encouraging women in England to attain a healthy weight before they get pregnant. A Department of Health spokesman said: "We know it's crucial that mothers get the support they need before, during and after birth and we are working with the Royal College of Midwives, the NHS and others to make this happen. "Obesity can have serious consequences for mothers and babies. Women need information, education and support at every opportunity. "Health visitors have a key role in making sure that all mothers and babies get advice about what to eat, exercise and lifestyle. We are committed to recruiting an extra 4,200 health visitors who will be able to give professional support to women and we are currently exploring with the profession how best to achieve this." In 2009 there were 26,678 full-time equivalent midwives in the UK. Women who are overweight – even by just a few pounds – are less likely to have a baby through IVF, experts warn. Their chance of having a live birth through the treatment is cut by 9 per cent, research shows, while the risk of miscarriage increases 24 per cent. Being clinically obese is known to affect IVF conception, pregnancy and birth but this is the first time that being even slightly overweight is clearly identified as a risk factor for the outcome of treatment that can cost as much as £5,500 a cycle. Consultant Dr Tarek El-Toukhy led a study of more than 400 women having in-vitro fertilisation at the Assisted Conception Unit at Guy’s and St Thomas’ NHS Foundation Trust. ‘We were amazed at how large an impact being overweight – not necessarily obese – has on the success of fertility treatment,’ he said. The study calculated patients’ body mass index – by dividing weight in kilos by height in metres squared – and looked at success rates. Women classed as ‘overweight’ had a 24 per cent extra risk of miscarriage compared with a normal pregnancy, and a 9 per cent lower chance of having a baby. For ‘obese’ women, the risk of miscarriage was increased by 40 per cent and chance of a live birth cut by 20 per cent. The findings, published in the journal Human Reproduction, were pooled with the results from 32 other studies which came to the same conclusion. To give an idea of the categories, a woman of 5ft 6in (1.67 metres) and 9.5 stone (60 kilos) would be healthy. 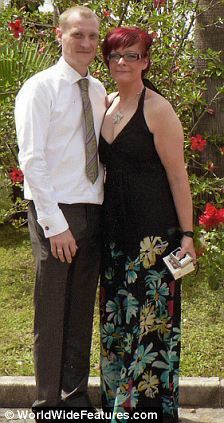 When she gets to 12 stone (76 kilos), however, she would be described as overweight. 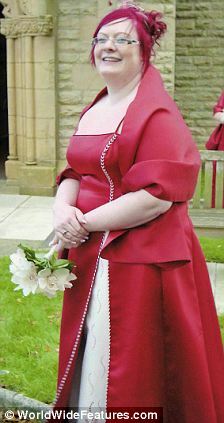 At 14 stone (89 kilos), she is obese. Possible explanations include changes in body hormones driven by weight gain. Insulin, leptin – a hormone involved in weight regulation and metabolism – and testosterone all play a part in determining the quality of the egg, embryo and receptivity of the womb lining. 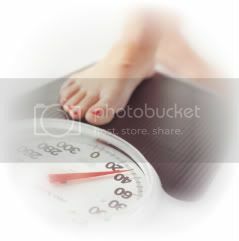 IVF doctors do not always insist on overweight or obese women losing weight. 'Chris and I had been trying so long for a baby, that we thought we would never be parents.